PCLinuxOS - the Big Daddy of Desktop Linux: Did Linux Abandon Netbooks? Four years back when Asus EEE PC line surfaced with its 7" netbooks, it was told that Linux is reviving on home computing. The first EEE PC models came with a certain modified versions of Xandros, the then popular commercial desktop linux. Popularity of those tiny computers inspired almost every other hardware vendors to come up with comparable models. We saw followers in HP, Lenovo, Sony and Acer, among many others. Keeping pace with the hardware we also saw many customized Linux distributions that gave full support to Asus EEE PCs, Acer Aspire One PCs and HP Mini Notebooks. The prominent distributions among them were eeebuntu, eedora, debian eee pc, Jolicloud and UNR. Suddenly, the trend reversed in favor of XP and Win7. Now I see most of those hobby projects abandoned, though there's no official statement regarding the same. 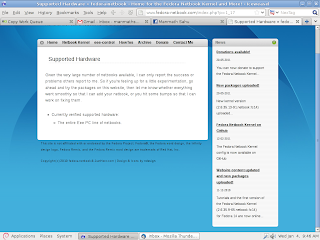 Here are the screenshots of EEE PC support projects from two prominent distributions, Fedora and Debian, taken today. The screenshots (click on them to see them at full resolution) speak a lot about their status. First, Debian EEE PC. The screenshot is about the support models. As you can see, there's none of the most popular models that came last year. Second, Fedora Netbook. 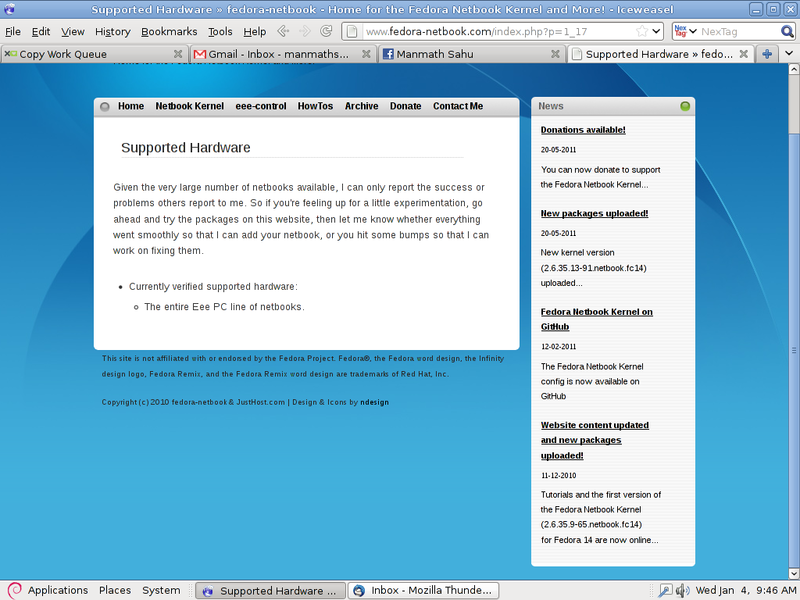 It tauts of supporting entire EEE PC line (sadly on 2.6.35 kernel). I have tried with latest (ridiculously, that's 7 month's old) fedora notbook kernel and eee-control package, none of them work on modern EEE PC or Aspire One models. 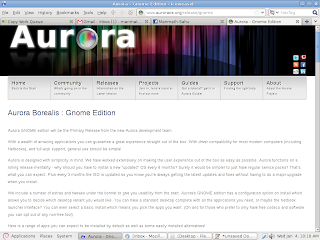 Third, Eeebuntu, now Aurora, has not been updated for last one year. 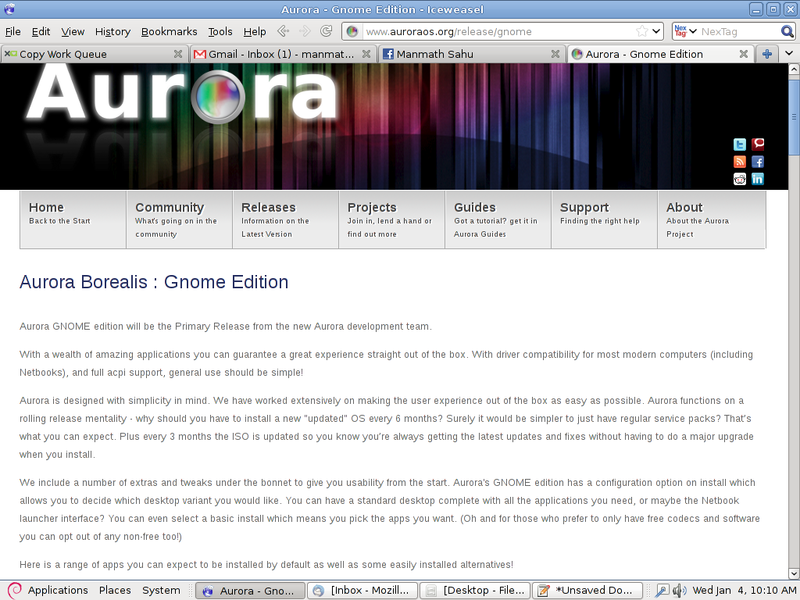 The release page reads "Aurora Gnome Edition will be the Primary Release from......" That "will be" kills the mood. Have a look at the screenshot. Of course, you don't always need these customized distributions for your netbook. 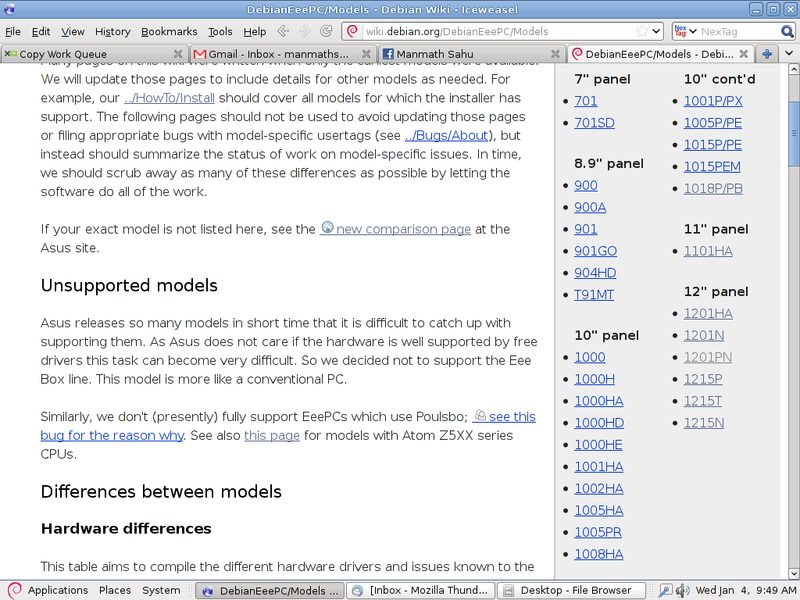 Many of the models work quite well on the current stock releases of Fedora, Debian and Ubuntu. But the tragedy is most often, the special features of these gadgets such as hotkeys and power control don't work on the official releases of these mainstream distributions. Funny but true, android works better on many of these models, though the lack of productivity apps turns off the users from deploying it on their netbooks.